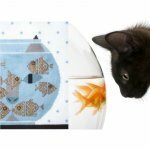 This contemporary Charley Harper Fishful Thinking needlepoint design is hand painted onto 18 mesh Mono Zweigart needlepoint canvas. 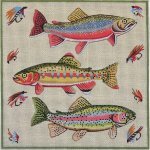 The easy to stitch needlepoint design measures approximately 9" x 9.5". This Charley Harper needlepoint is sold canvas-only or with your choice of threads. We use DMC cotton floss, Bella Lusso wool or Planet Earth Pepperpot silk. If you wish to purchase stretcher bars we recommend two pair of 13". 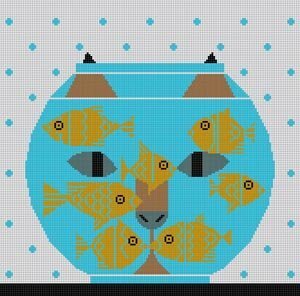 This Fishful Thinking Charley Harper needlepoint canvas usually ships in a few days. You can always check availability before you order.